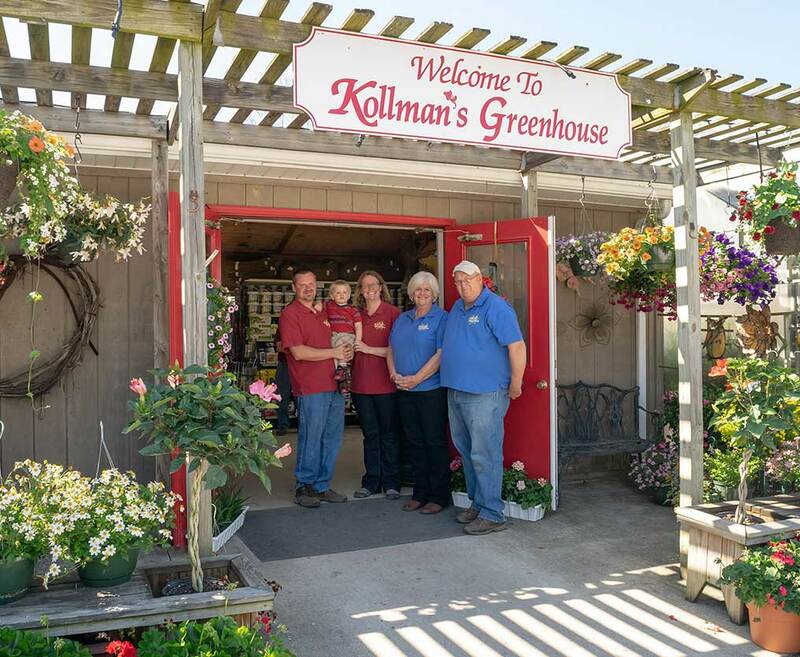 Kollman’s Greenhouse Inc., is owned and operated by Betsy Kollman Bresky and Derrick Bresky. 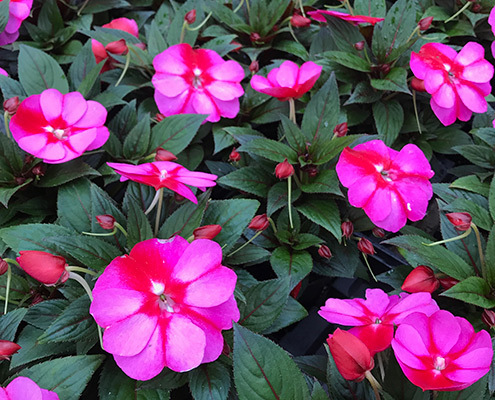 Betsy’s father, Scott, purchased Herrick’s Greenhouse in 1972 during his senior year at The Ohio State University. Later, his wife, Sue, joined the business and they changed the name to Kollman’s Greenhouse. In 2016 Betsy and Derrick purchased the business, continuing it into the second generation. In March of 2016, Betsy and Derrick welcomed their son James into the world, opening the door for a third generation of ownership in the future. Betsy graduated from Michigan State University with a B.S. in Horticulture and a concentration in Biotechnology. She also graduated from Cornell University with a M.S. in Horticulture and a minor in Plant Breeding. Prior to purchasing the greenhouse, she managed the research and development department at Four Star Greenhouse, a part of Proven Winners®. 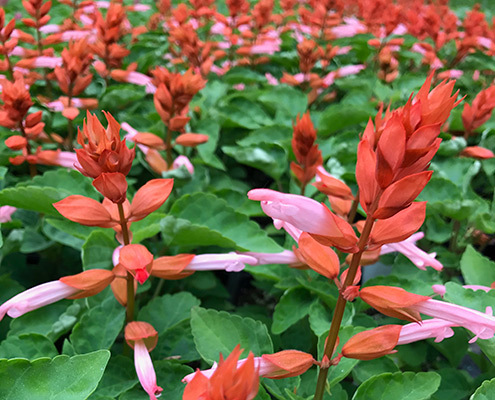 Betsy traveled all over the world looking at new and exciting plants and brings that history and knowledge with her to Kollman’s. Derrick graduated from the Machine Maintenance and Repair program at Akron Machining Institute and holds an Associate of Applied Science degree in General Technology from Monroe County Community College. While there he focused on engineering and design. Derrick brings his technological and mechanical skills and know-how to Kollman’s. If you are looking for a speaker for your organization please contact us. We’ve presented at meetings for many local groups and always look forward to new opportunities. We keep up to date on new varieties, and hot topics within our industry. Is your group not garden savvy or flower affiliated? That’s okay too! We can speak to a variety of audiences, no matter their comprehension level. We welcome groups of all types and ages to tour our facilities too. We enjoy showing off all that goes into the production of our plant material – and there is a lot to show! We have about an acre of greenhouses complete with rooting and germination benches and a cooler for bulbs. If you’re curious about mechanization we can set up a demonstration with our automatic transplanting and seeding machines. Certain times of the year are more interesting than others so give us a call to discuss possibilities. 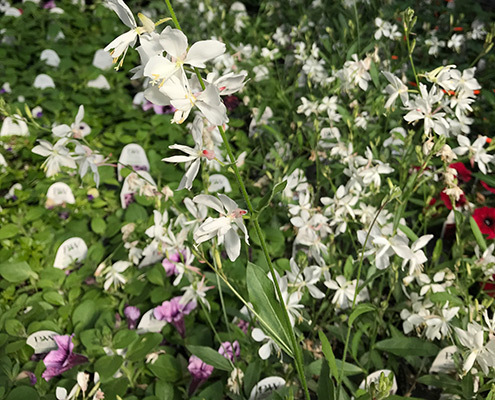 Find out what’s going on at Kollman’s Greenhouse and pick up tips to planting a beautiful, successful garden. Our newsletter is available in PDF format, click on the link below to download current and past issues.